Kari Sperring’s first novel was a finalist for the Crawford Award, a Tiptree Award Honor Book, a “LOCUS “Recommended First Novel, and the winner of the Sydney J. Bounds Award for Best Newcomer. 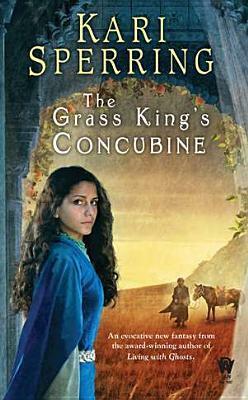 Now she returns to the same amazing and atmospheric world with an entirely new story set several hundred years after the earth-shaking events of “Living With Ghosts.” When a wealthy young woman, obsessed with a childhood vision of a magical Shining Palace, sets out with her true love to search for a legendary land, she discovers the devastated WorldBelow – the realm of the Grass King – and the terrifying Cadre, who take her prisoner, and demand she either restore the king’s concubine… or replace her. This is another fabulous novel. Go forth and buy!